Why I need LinkedIn poster? 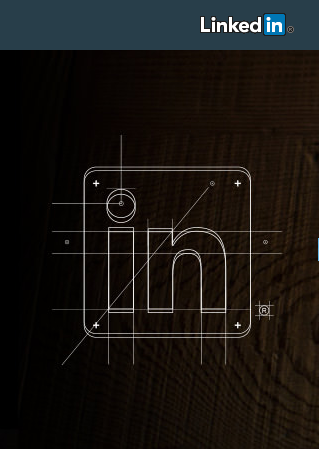 LinkedIn is not only a job seeking and recruiting social network which unites professionals all over the internet. It is also a great personal and business branding tool. Using LinkedIn you aim at build stronger relationships and position yourself as an expert in your niche. If you are on LinkedIn you are interested in keeping your profile updated all the time. LinkedIn poster from RSS Ground will help you automatically post targeted news and information to your LinkedIn news line or to your LinkedIn company pages. This will save your time and efforts in keeping your LinkedIn profile live and ever updated. Choose discovered or generated content feeds and create a LinkedIn posting campaign. Set content filters and other specific posting settings for this posting campaign. Set posting automation and save posting campaign for continuous autopilot running. Finally I found what I was looking for. RSS Ground is a perfect tool for my needs. It's a really great help in feeding my numerous blogs with fresh content. I used to create niche blogs and had to use different "ersatz" ways to find fresh content to fill in. Now I got this wonderful all-in-one content processing toolset. Thanks guys for your service. I'm your loyal customer. Thanks for letting me know what the heck RSS really is. I can now follow all latest updates on my topic via Feeds Reader. Tons of information nicely delivered. Can't even decide whether to admire RSS developers or your service - both have done a great job. Well, thanks for bringing these novelties to me. To the developers of affiliate feeds generators, eBay Feeds tool is something. I got my eBay Affiliate ID and you gave me the idea on how to use it. I now promote different products on cats topic in my Facebook pages. Works just great! Hi everyone! This is an excellent product. I've used quite a few but this one is the most reliant. Looking forward to seeing what else these geniuses come up with. I think this is one of my best investments. These are really easy to use automated content posting tools. Lots of functions, customization and settings. Can't think of any cons at the moment. All seems to work fine and stable. Recommend annual subscription for greater benefit. Great support team, too. Helpful, comprehensive, fast. Just a note of thanks. PUBLIC FEEDS SEARCH is fast. Feeds selections cover all the options, blog, news, search results, etc. Unlike a lot of feed generators on the net, it doesn't generate additional baggage, ie hidden backlinks to the service. Way to go guys! A complete set of content feed tools in one place. I can't even imagine anything else for my needs. If I get any ideas, I promise I will let you know right away. I'm so glad you support this service. Would love to offer to my customers so they could create their own blogs with content. Clickbank feeds are just simple and great and are making a difference in my revenue already. Ebay feeds are bringing some dough, too. I'm quite a social media junky. Run several media accounts at a time. Can't even explain how RSS Ground useful and helpful in my case. Just a huge, huge time saver. I can send timely updates too all my social network accounts and blogs. Everything automated! Just like that! Are you still paying for a bunch of services such as Feedly, Buffer, dlvr.it, twibble, Fetchrss or similar? provide feedback or just say hello!